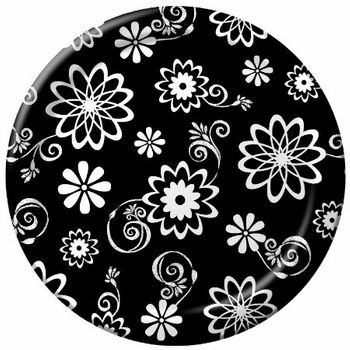 Cosmic Flowers 7" Floral Black / White Dessert Paper Plates 8ct. Cosmic Flowers Black / White Floral Guest Napkins 16ct. Cosmic Flowers Black / White 9oz. Hot / Cold Paper Cups 8ct. Cosmic Flowers Black / White Floral Plastic Tablecloths 54" x 108"